It has been awhile since I have written about living a strategic life. For those of you new to Backdoor Survival, living a strategic life is something that I encourage everyone to embrace, prepper or not. As a matter of fact, it is so important to me personally that I co-authored a book about it, 11 Steps to Living a Strategic Life: A Guide to Survival During Uncertain Times . In a nutshell, living a strategic life means that you are able to take care of yourself and your family no matter what Mother Nature and the Universe decides to drop in your lap. And while talk about a global collapse is dramatic sounding and the cause for major, life-altering concern, a realistic assessment of the odds suggests that more commonplace emergencies and disasters are singularly the reason we prepare. This is not to diminish preparing for the likelihood of a collapse, of course, but rather to focus on risks of life that can happen any day, any time, to anyone. With that being said, throughout most of human history, man has learned that a few necessities can and do make the difference between life and death. While emergency food stores, stored water, and the need for a good first aid kit serious medical training on how to use it are all important, today I would like to talk about something increasingly overlooked in our “modern” society: STARTING A FIRE. Fire is a big deal and a necessary component not only to our senses, but to survival itself. That said, most people have terrible fire skills. It is not that fire skills are difficult to learn, mind you. It is just that in today’s world of electronic cooking gadgets, pre-packaged meals, and grab and go dining, using a fire to do something basic like cook seems like a lot of work and a plain nuisance compared to get getting the job done with electricity, natural gas or, those plastic cards we carry around in our wallet. Today I want to get down to the basics, namely the basics of simply starting a fire and getting it going with a minimum of fuss. Let us start with rule #1 of fire making. Building a fire is something to be taken quite seriously and since we are talking about the basics, remember, never build your fire indoors, except in a real fireplace. Every winter, dozens of people die of carbon monoxide poisoning due to indoor heating with charcoal briquettes. When that happens, the victims simply go to sleep and never wake up. The point being that outdoors confined to a fireproof area or in a real fire place is where fire belongs, period. 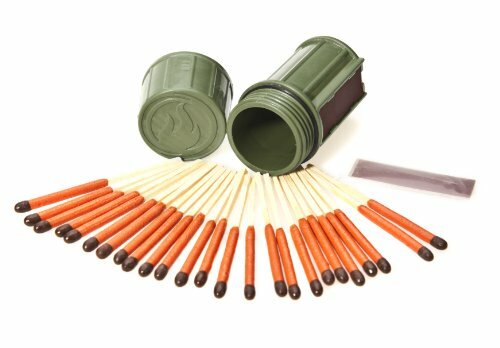 That said, the first step and some would say the most important step to having a good fire is getting it UCO Stormproof Match C... Buy New $6.99 (as of 09:25 EDT - Details) started. You can purchase a variety of fire-starting tools ranging from waterproof matches to Bics to all sorts of pre-package tinder, but for Prepper types, nothing beats the reliability of a simple magnesium flint and steel (I like the Swedish Firesteel). One of the oldest and more reliable methods to start a fire is to make some charcloth and have it ready to go in your survival kit. Charcloth you say? What the heck is that? Well to be honest, most city-dwellers have no clue what it is, how to make it, and even less how to use it. I know that until three years ago, I did not have a clue. But no worries. Here is everything you need to know about making your own charcloth. 1. You begin by finding a pair of old jeans that you’ve ripped and patched for the last time. You’ll cut patches of the fabric just the right size to lay flat inside an empty Altoid can. 2. Once you’ve about filled the can up, you make a small nail hole on both the top and the bottom of the tin. 3. The next time you have your BBQ fired up, toss in the denim filled Altoid can and let it cook for 20 minutes or so. Of course if you can also toss the tin containing denim into a real fire that is the ground or in your fire pit. By the time the fire has cooled off to nothing the next day, the can will be cold and there no grill to clean. Easy peasy. 4. Remove the tin filled with denim from the grill and let cool overnight. If you used your BBQ, you will want to to wash the grill off thoroughly when you are done since remnants of the burning paint from the Altoids can will make an unsavory seasoning to the next piece of food thrown on the grill to cook. Are You Prepared for an Ebola Quarantine?